Manage your Time and Email with Outlook! 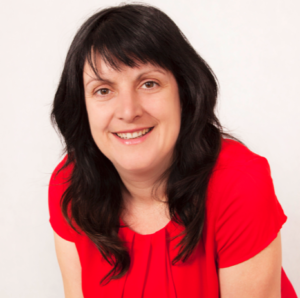 Fiona Newton, Co-founder and Training Director at Productive again joins Enterprise Radio. The team at Productive provide training in productivity, time management and email management – face to face and coaching via Skype. What are the greatest productivity challenges that you see with your clients currently? How can people overcome those challenges? Email is a huge cause of stress. What strategies can people adopt to bring back some control? Do many people use Outlook Tasks? It seems to be a difficult area to use well. You conduct workshops, Skype coaching and key note presentations on managing your time using MS Outlook. Why is Outlook a fantastic Time Management tool? Fiona has 15 years’ experience in helping staff at all levels of an organisation be more effective and productive in their roles! She has a unique approach to managing time, managing email and using technology to be more effective. Fiona is not only gifted at demystifying technology and explaining how to use it in plain English, she is also able to develop the practical processes needed to use technology in our work lives effectively. advice or shared wisdom. With every presentation and training session, Fiona aims to ensure her audience takes away useful insights, inspiration and tips that will help them succeed in their career or business. Fiona is particularly passionate about giving people back their life and finding balance! Her clients include: Russell Kennedy Lawyers, Lander & Rogers, Maurice Blackburn, Griffith University, Busi Women Network, State Emergency Service, Maribyrnong Council, La Trobe Council, Law Society of NSW, Chep, CSL, UniSuper, Department of Human Services, Queensland University of Technology, Yarra Valley Water and more!